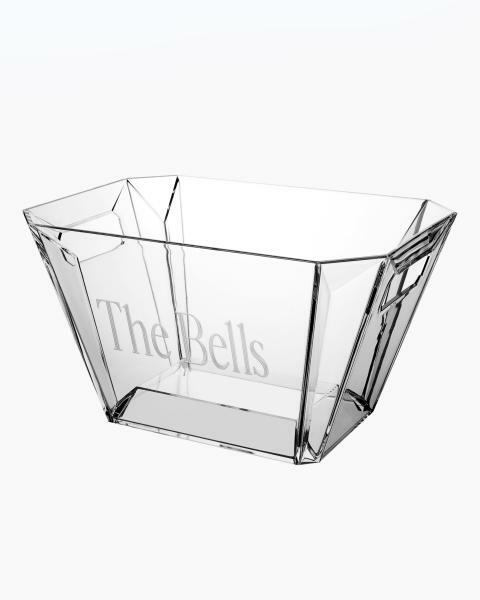 Your guests will be duly impressed with the stylish angular design of this handsome acrylic party tub. 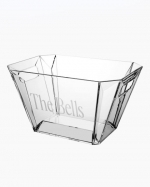 It holds lots of ice and up to 8 wine bottles or plenty of beer and soda. Easy-carry, cut out handles. This item is NOT dishwasher safe. Hand washing with mild detergent is recommended. Measures 16"w x 11"h x 9"d.